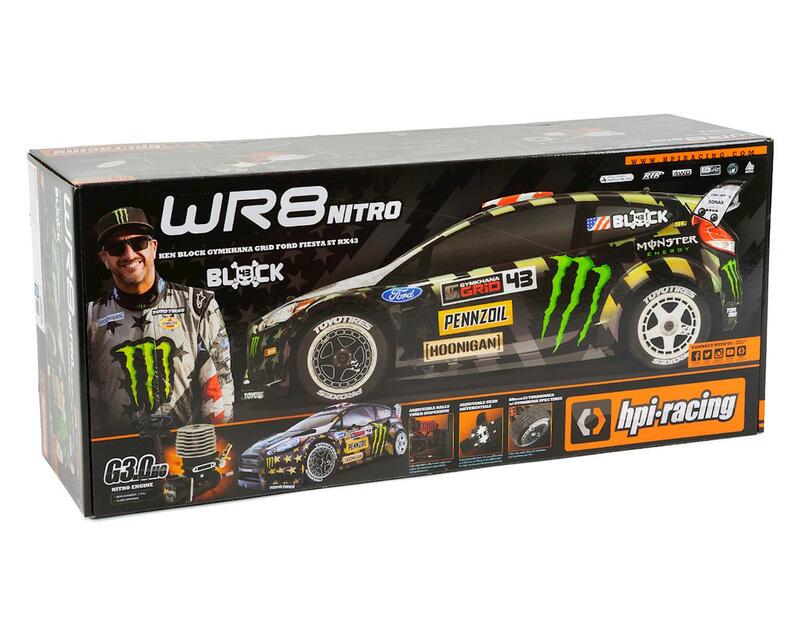 The HPI WR8 Nitro Ken Block Gymkhana Ford Fiesta ST RX43 RTR features awesome iridescent “Stars and Stripes” livery on the HPI Racing WR8 chassis! 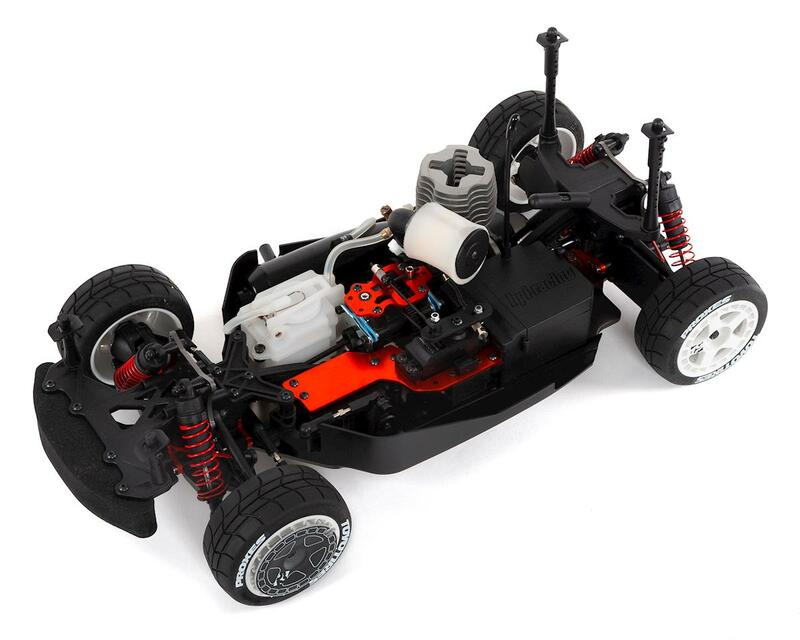 With the fabulous realism of the engine-powered WR8 NITRO, Ken Block fans have their choice of amazing scale replicas of Ken Block's feature car from the Dubai Gymkhana 8 video, and the Terrakhana video, filmed in the desert of southern Utah! Custom Hoonigan Paint Featuring Color-Shifting Stars and Stripes! 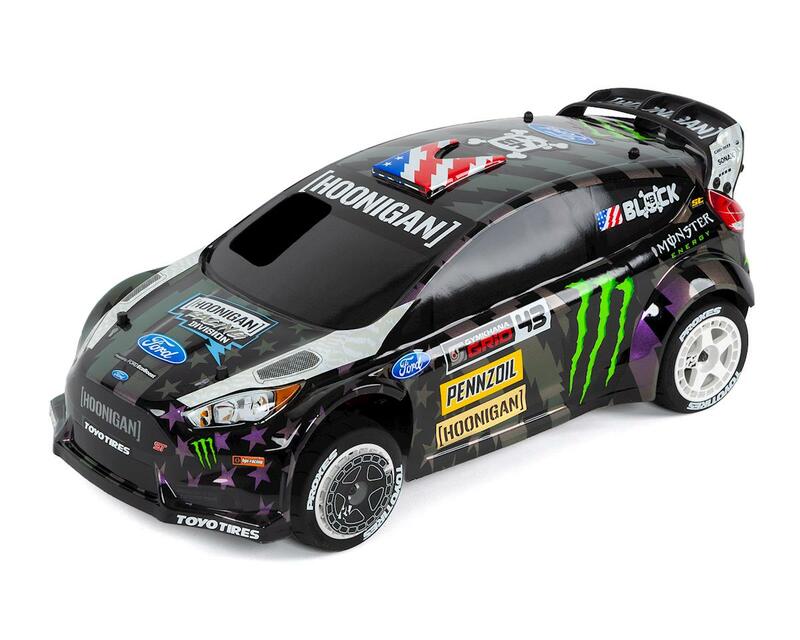 The first thing to grab your attention with these cars are the amazing iridescent stars and stripes that cover the officially licensed Ford Fiesta ST RX43 body! 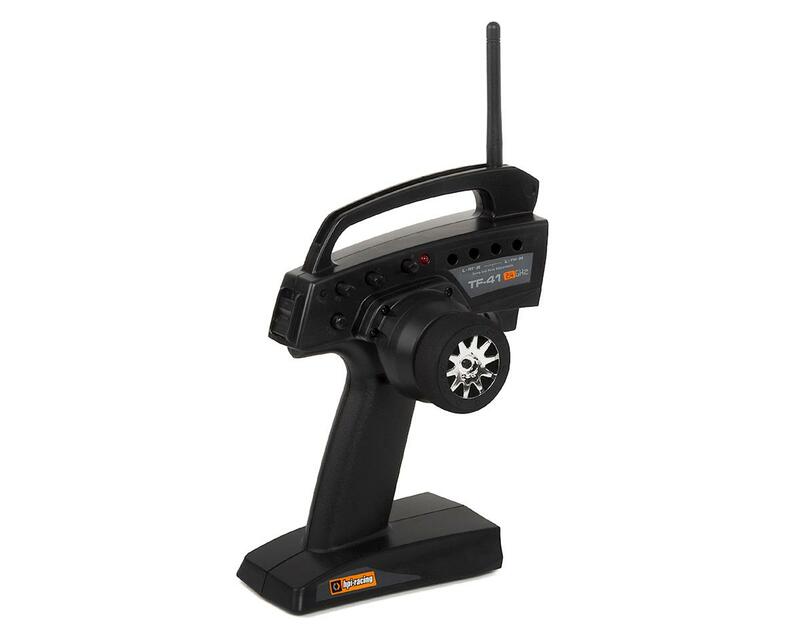 As you watch, the color actually changes before your eyes! From purple, to gold, then finally to green - and back again! Of course, the car is covered in the official Hoonigan Racing Division logos, plus sponsor logos such as Toyo, Pennzoil, KB43 and more, AND replica fifteen52 wheels fitted with grippy semi-slick rubber tires for the complete Gymkhana look! 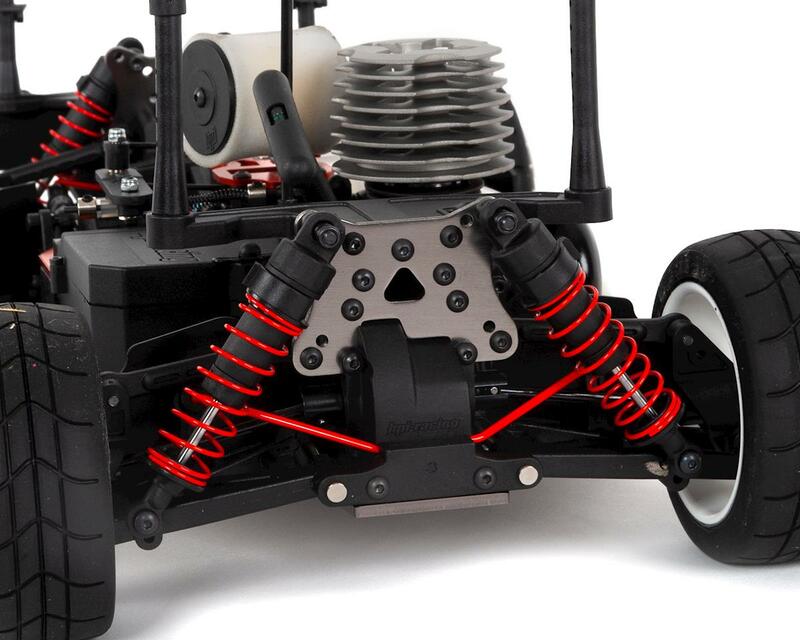 The WR8 NITRO chassis uses almost all of the same parts as the brushless FLUX version, but swaps the electric motor with a Nitro engine for total scale realism! 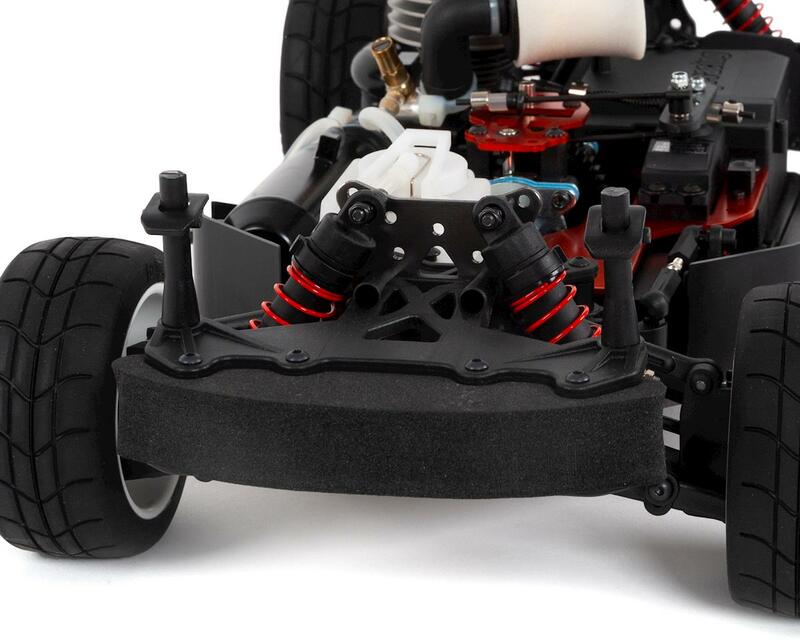 With the Nitro Star G3.0 engine, you get a realistic miniature car, complete with fuel system, exhaust and starter for a real racing car experience. 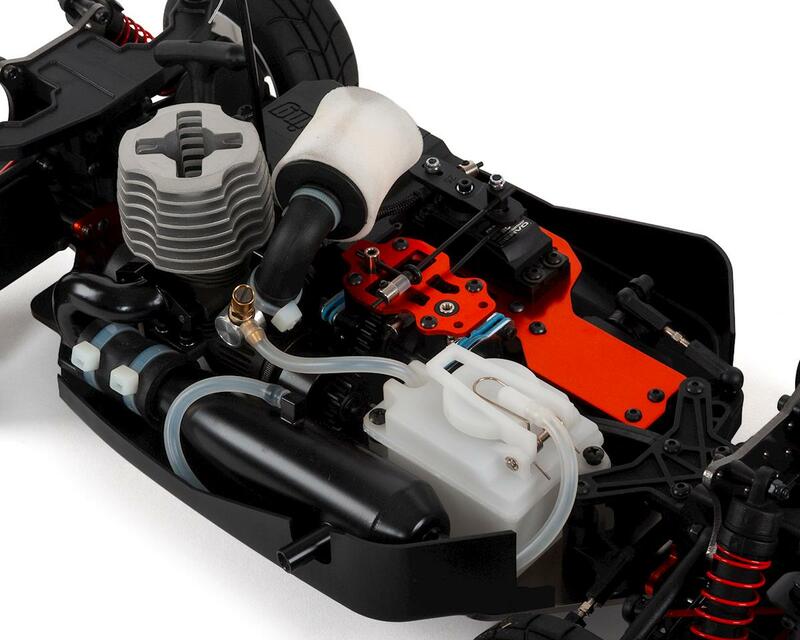 Using model engine fuel formulated for RC cars (available from any RC model shop), you get real engine exhaust, complete with exhaust smoke as you drive and the smells of a real racing car!